Italy is the eighth largest economy in the world and the second-biggest manufacturing economy in Europe. The Italian government’s tax collections from year to year have been near rock-steady as a percentage share of the country’s GDP and, for over a decade now, the country has been running comparatively small annual budget deficits. And yet, the Italian government is now behaving as if its financial situation is so dire that the nation itself is in imminent danger of going under. 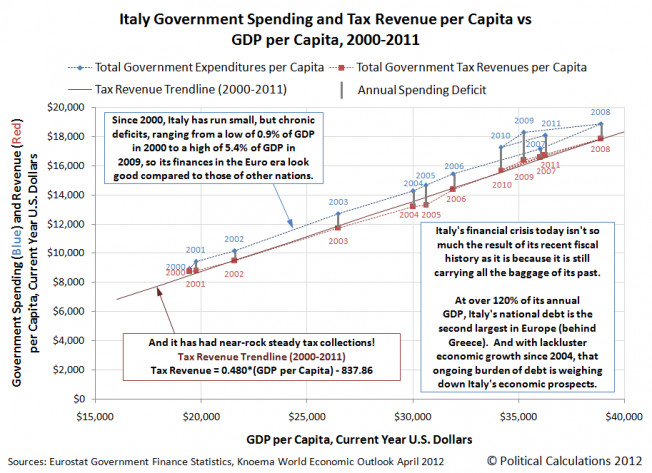 The short answer is that Italy is burdened by the policies of its past. In the 1980s, the nation began running up a truly phenomenal national debt in a short period of time, peaking at over 120% of the country’s GDP in 1994, before falling back to be below 105% of GDP in 2007. Since then, it has ballooned back over 120% of GDP. Starting from such a high level, Italy had little room to be able to absorb the impact from financial crises within its borders, such as the one driving markets today, where the Italian province of Sicily is at risk of defaulting on its own public debts and obligations. PALERMO: As the Prime Minister, Mario Monti, fights to protect Italy from the contagion driving up its borrowing costs to perilous levels, one region in particular has been in the spotlight: Sicily, which some fear has become “the Greece” of Italy, at risk of defaulting on its high public debts. Mr Monti wrote to Sicily’s regional president last week warning that he had “serious concerns” that the region was at risk of default. The day before, an official in the Sicily branch of Italy’s leading industrialists’ association called for the island to be put into receivership by the central government to clean up its finances. When headlines about a potential Sicilian default ricocheted around the globe, the government quickly played down concerns and said it would send €400 million ($469 million), to ease Sicily’s liquidity crunch so it could continue to pay salaries and pensions. One government official said Mr Monti’s letter had been intended for a domestic audience and that Sicily’s problems could not spread to other Italian regions. 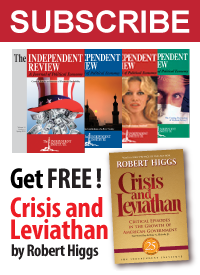 But with Europe’s debt crisis, local politics quickly become international problems. And the flare-up over Sicily highlights the challenges that Mr Monti is facing in trying to use pressure from European leaders and international markets to push Italy’s political class to cut costs. The equivalent situation in the United States would be for the U.S. government to be forced to provide special financing for the state of Illinois, so it could continue functioning. The problem though is the amount of borrowing the government would have to do to prop up the fiscally failing region. With such a high national debt level already, the government would have to add even more to it to fund its bailout, increasing the risk of a default. Lenders respond to that situation by demanding higher interest rates on the money they loan to the government. The critical threshold appears to be when a country’s bond yields (the interest rates that governments pay to the people who loan them money) rise above 7%, when bond traders have to begin posting more collateral because the government-issued debt has become riskier to bond investors, who must weigh in the increased probability that Italy will default on its debt to them. 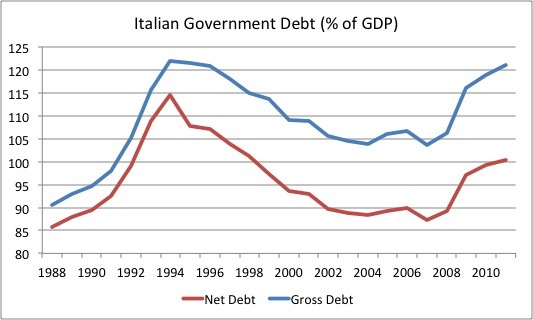 If Italy’s national debt burden, its national debt to national income (GDP) ratio hadn’t already been so high, it would have been in a much better position to weather the crisis. Unfortunately, that high debt level and Europe’s deteriorating economic situation have combined to put Italy at imminent risk of a fiscal crisis. … Italy – and Sicily in particular – has been driven into dire financial straits not by austerity but by the rampant public spending of the past, the product of an entrenched jobs-for-votes system that helped keep Italian governments in power and Sicilians employed. Last month, Italy’s audit court issued a scathing report saying that Sicily had €7 billion of liabilities at the end of 2011 and showed “signs of unstoppable decline”. Sicily’s unemployment rate is 19.5 per cent, twice the national average, and 38.8 per cent of young people do not have jobs. Eventually, the supply of other people’s money runs out and a long-delayed reckoning with reality takes place. For Italy, it appears that reckoning with its wasteful spending past will take place much sooner than its past leaders had hoped.